1. Study this imperfect finished project. Promise yourself you will NOT stress about having to freeform a heart shape. 2. 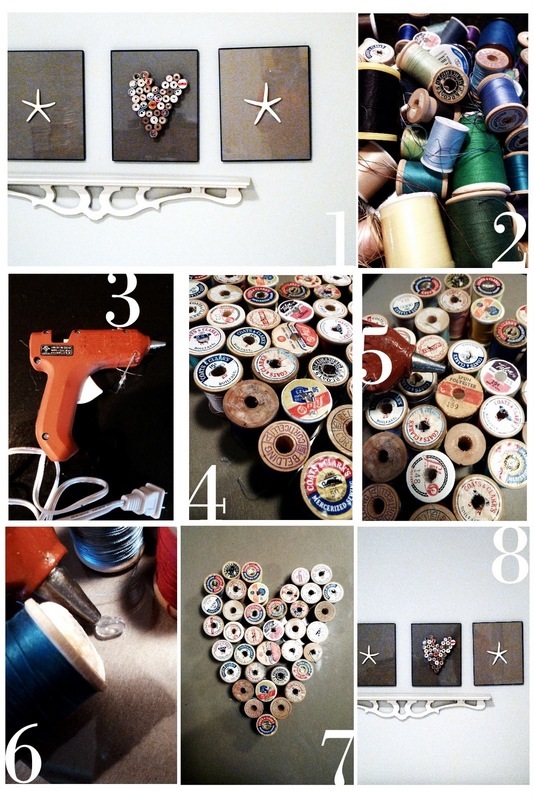 Grab your vintage spools of thread. 4. Freeform a heart shape, filling in with various sized spools of thread. 5. Get your glue gun warmed up. 6. Use a small drop of hot glue at the base of each spool. that I had filled with a piece of kraft cardstock. 7. Fill in curves and small holes with smaller spools. 8. Hang your work on the wall. I had four frames (fourth is not in the photo). 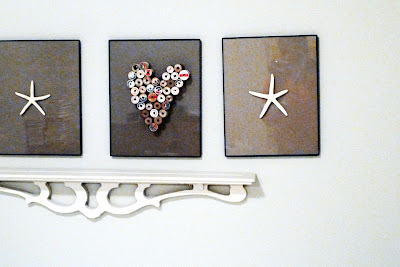 I glued cheap dollar pencil starfish to the outside of the other three frames. Wow, that is just beautiful! 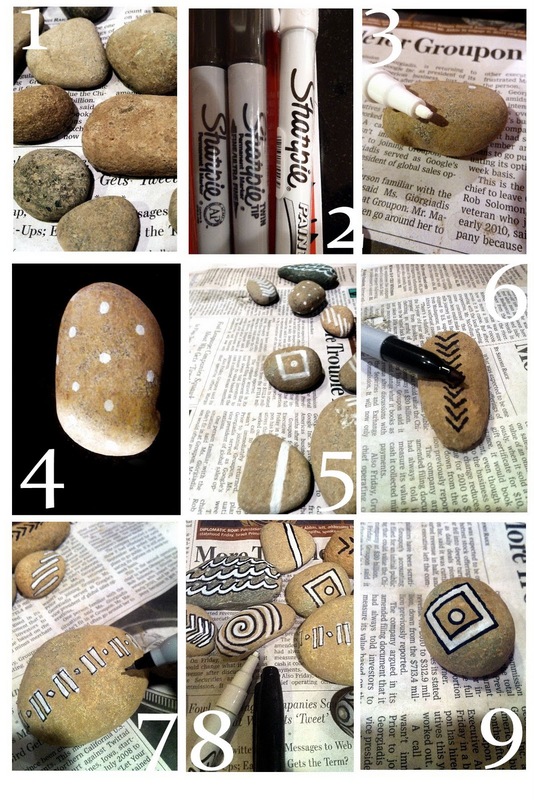 What a wonderful idea, I love it! Thanks a bunch! Better than hoarding those spools in a glass vase. The heart is charming...reminds me of folk art. Thanks. It is rather folksy eh? Who knew (smile)?